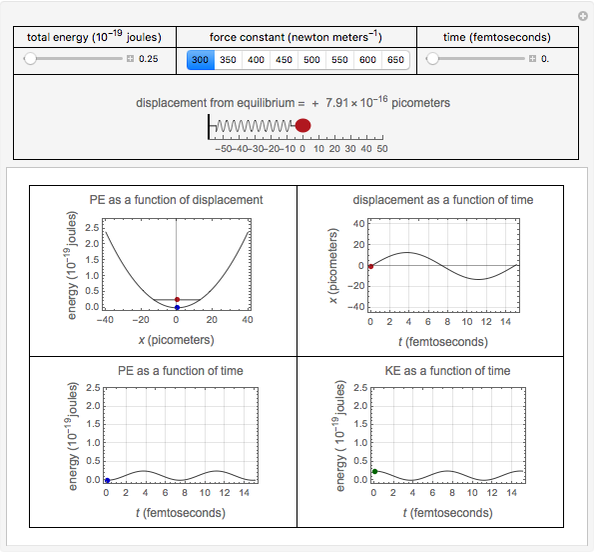 In simple harmonic motion, when a particle of mass is displaced from its equilibrium position, it experiences a restoring force proportional to its displacement (Hooke's law). 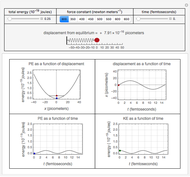 The resultant motion produces a sinusoidal curve for the displacement as a function of time, and it interconverts potential energy (PE) and kinetic energy (KE) in a periodic manner (while keeping total energy constant). Interactivity involves the effects of the total energy and force constant on the potential energy well, displacement, and potential and kinetic energies of a simple harmonic oscillator, and also includes the ability to track energies and position as a function of time. 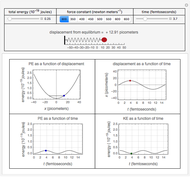 The first control lets you select the total energy of the harmonic oscillator. 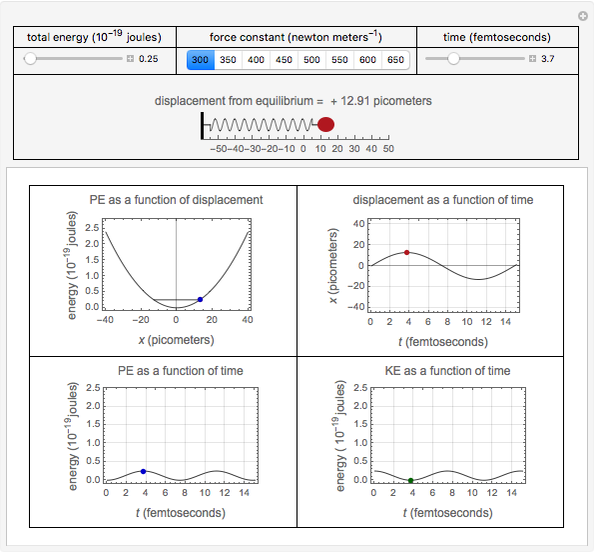 For the plot of potential energy as a function of displacement, this will move the red point and level to the appropriate position on the potential energy well and the other plots will change accordingly. The second control lets you select the force constant, essentially increasing or decreasing the strength of the spring. The final control manipulates time. 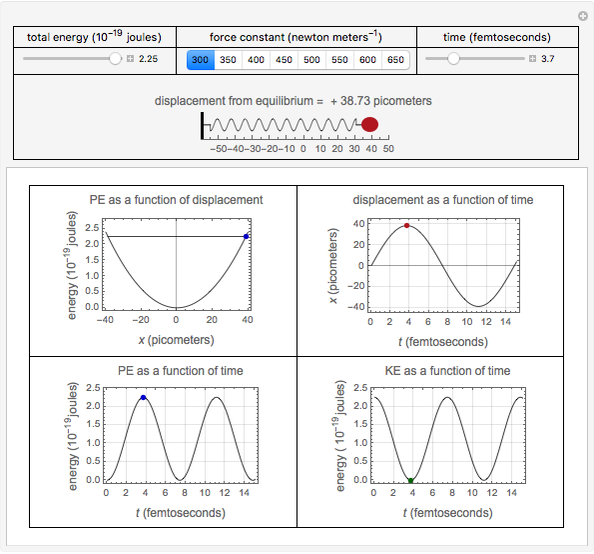 The mass on the spring and the red points track displacement as a function of time, the blue points track potential energy as a function of time, and the green point tracks kinetic energy as a function of time. Lisa M. Goss "Energy and Position Relationships in Simple Harmonic Motion"